Cougar Express has given trainer Jarrod McLean his biggest win in the Grand National Hurdle. 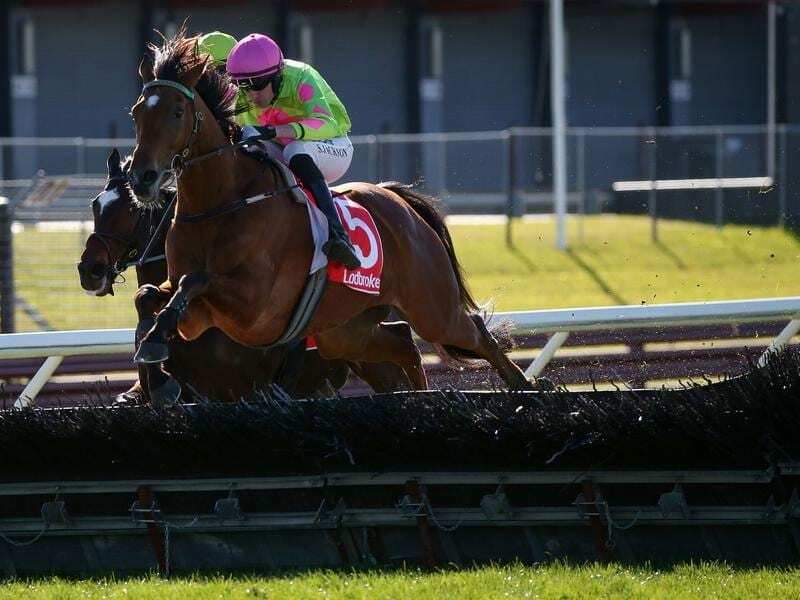 Although he has been associated with many of the major victories of Darren Weir, trainer Jarrod McLean has stepped onto the big stage in his own right preparing Cougar Express to win the Grand National Hurdle at Sandown. McLean prepares a team of 60 horses at Warrnambool for Weir and also trains a stable of 20 horses in his own name. Cougar Express had three trainers in Western Australia before being transferred from Lindsey Smith to McLean for a jumps career. Backed from $15 to $8.50 on Sunday, Cougar Express, under Shane Jackson, scored a 12 length win over $2.05 favourite Self Sense with Bit Of A Lad ($4.60) another three-quarters-of-a-length away third. “It’s a huge thrill to get our turn in a big one today,” McLean said. “It’s six years ago that Youbolt won the Palmerston Sprint (in Darwin) which was probably the biggest win of my career and I think this tops that today. Despite going to the 4200m for the first time, McLean was confident the gelding would have no problems handling the trip. “Speaking to Lindsey during the week he said he’d be surprised if he wasn’t the toughest horse in the race,” McLean said. McLean said with the jumps season nearing an end he may freshen the gelding for a shot at December’s Jericho Cup at Warrnambool. Jackson said a solid tempo suited Cougar Express. “I was left to ride him with an open copy book,” Jackson said. Trainer David Brideoake was proud of the performance of runner-up Self Sense who attempted to lead throughout under 69kg. Self Sense went into Sunday’s race unbeaten in three starts over hurdles. “I thought he went beautifully,” Brideoake said.